Buy Yukon Gold Nuggets from Canada. 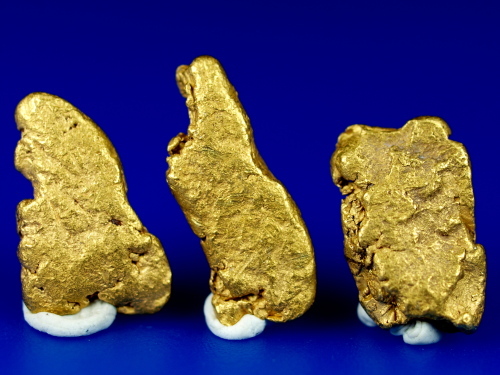 Here is a nice trio of natural gold nuggets from the Yukon Territory in Canada. They have a nice buttery gold color and a combined weight of 2.86 grams.